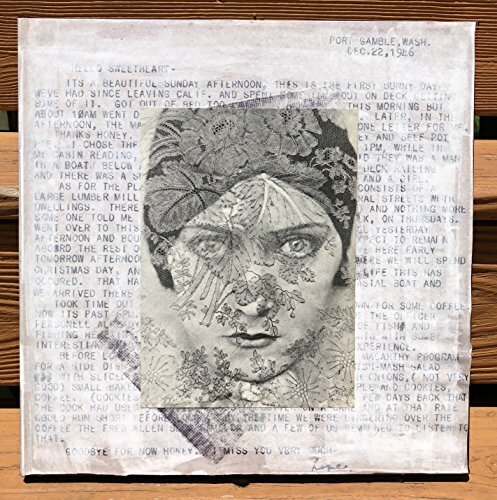 "Love Letter From Port Gamble" is a 12x12 inch analog mixed media collage featuring an amazing photo of Gloria Swanson. I found the photo in a 1960 Vanity Fair book compendium. Her eyes an intensity contrast with the banality of the words behind her. Ready to hang! The collage is sealed with gloss varnish and comes ready to hang with hooks & wire. If you have any questions about this product by Cipher Art, contact us by completing and submitting the form below. If you are looking for a specif part number, please include it with your message.